I came across this great Infographic depicting many of the memorable events that have transpired since the 1955 opening of the original Disneyland Park in Anaheim. If you recall (or have heard), that day, which was “invite only,” did not arrive without its many issues – uninvited guests jumping the fence to get in, attractions breaking down, restaurants running out of food, ladies high heels sinking in the newly poured asphalt on Main Street and the list goes on. Eleven parks later and a media company that is one of the largest in the world, that original theme park has quite a history. 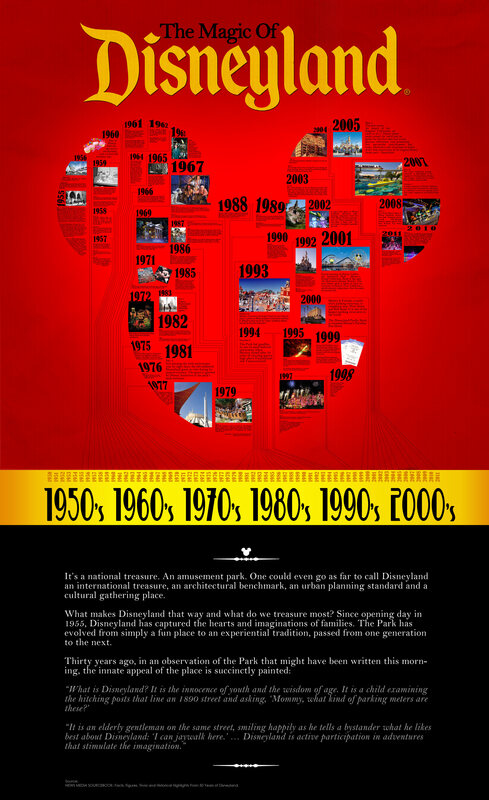 The Infographic below, courtesy of City Traveler, takes us through the events of Disneyland’s grand opening all the way up to events as recent as the reopening of Star Tours in 2011. Enjoy!